All the turkey is gone, my pants are a little snugger, and Dan is lugging all the Christmas decorations up from the basement this morning. The Christmas season is here. To celebrate I’ve made yet another printable for this most wonderful time of the year. This time, instead of calling it a to-do list, or a bucket list, I’ve called it the Christmas Event Wish List. I named it that way because I’m hoping to get to do all of these fun holiday activities, the reality is that I won’t get to have all of these experiences this holiday season. 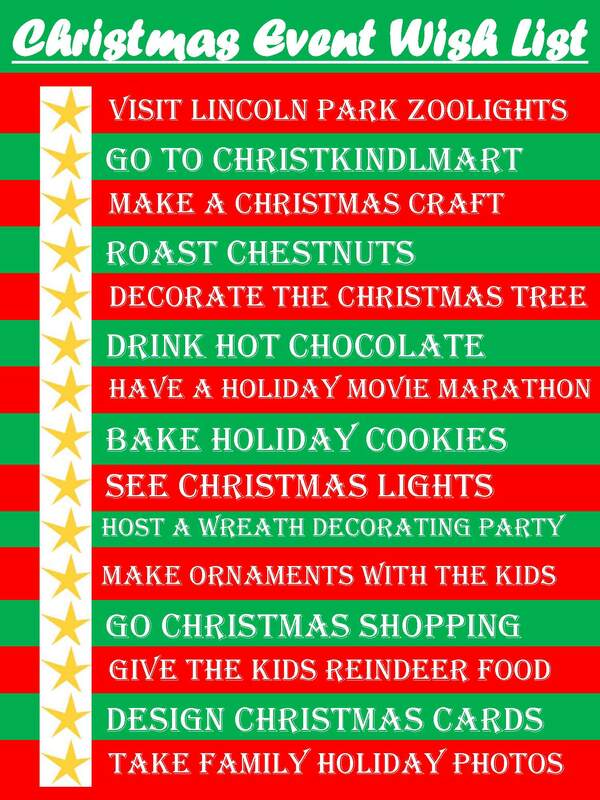 I’m off now to get at least one of the items on this list done today – decorating the Christmas tree!